Arrival full length, then taxi back. I shot this on Sunday evening January 13, 2019. 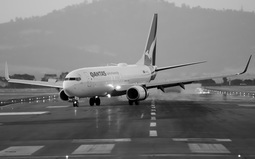 A Virgin 737 departing Hobart runway 12.